Paolo Nutini is a young, but extremely promising neo-folk performer from Paisley, Scotland. He got the Italian roots from his father, also their family lives in the United Kingdom for four generations already. It may seem strange, but the musician’s father hoped that his son will follow the family tradition and some day will lead his fish and chips shops business. However, the young man chose singing as his vocation. Nutini’s career was a fast one, and in a couple of years he transformed from a guy, performing in Scottish pubs, to the artist, singing before Amy Winehouse, The Rolling Stones and KT Tunstall. Well, Nutini did not forget about his solo activity – in 2005, he signed a deal with the Atlantic label, which speaks for itself. In 2006, he finished the debut disc These Streets, gladly digested by the public. The album was produced by Ken Nelson, who earlier worked with Coldplay and Gomez. Paolo wisely decided that he should not hurry with the sophomore attempt. Thus, we can see his second disc Sunny Side Up only three years later the first release. This time, the artist not only composed all the tracks himself – he also partly took the producing tasks. May be, such move can seem too self-assured to somebody, but not in the case of a talented performer like Paolo Nutini. After the pop ballad collection These Streets, Nutini decided to try himself in different genres, and the disc Sunny Side Up became a wonderful proving ground for this beginning. On this disc, you are going to be cheered by an amazing diversity of musical directions, and in each of them the artist sounds harmonically and assuredly. The disc opens with the reggae track Sunny Side Up, which both proves that Paolo did not miss his composing grasp for three years and makes us acquainted with the matured vocals of the singer. The wonderful soul track Coming Up Easy, decorated with the organ play and fulfilled in the stylistics of Motown, became another strong tune and is sure to amuse the listeners with the strong verses. The evident soul influence is filled also in the penetrating song High Hopes. The romantic composition Candy is the author’s exploration in the American roots music; it pleasantly reminds the creativity by Bruce Springsteen. Such motives, as the piercing Tricks of the Trade and Worried Man, were inspired to Nutini by Scottish folk. The jazz track Pencil Full of Lead became another successful musical experiment by the singer – so did the country melody Simple Things. The passionate, filled with the emotional vocals bluesy tune No Other Way became the retro stylization for the New Orleans classics. The disc closes with the 30s-flavored track Keep Rolling. 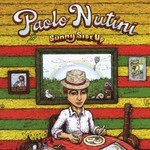 On the disc Sunny Side Up, Paolo Nutini tries himself in a variety of styles, and all these tracks sound naturally and assuredly. It is strongly felt that Sunny Side Up is not a parody for the old good times, but represents the tastes and musical preferences of the singer. The verses on this disc are more mature, then the ones on Paolo’s debut, although the main topics are love and the turbulent romance with his girlfriend. Well, what else can inspire and worry the mind of a twenty-two-year-old lad, even if he is extremely gifted and smart? Nevertheless, the lyrics on some songs is really so light-minded and clear that it can decorate only pop songs. Sunny Side Up is a sincere and passionate album. Well, one needs the cheek and courage of youth in order to exhibit such songs to the public’s eye – but we may nit doubt that Paolo Nutini possesses all the needed qualities. The vocals of the musician also saw a drastic change – it is not the voice of a boy, but of a man. With such performance, the singer is going to have a long and sunny way in the world of folk music. It is obvious, as after the release of Sunny Side Up, the artist was regularly compared to Bob Dylan and other veterans of this genre. It is also worth mentioning that in spite of the style mixture on this disc, it all seems to be an integral thing and extremely stylish - Sunny Side Up has no tracks, spoiling its entire beautiful picture.